View Cart “NEW EDITION! 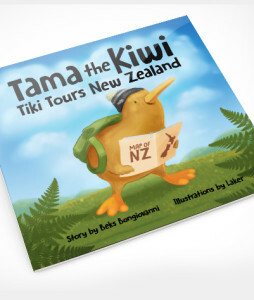 Tama the Kiwi Tiki Tours New Zealand” has been added to your cart. 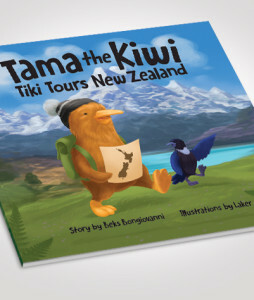 Tama the Kiwi Tiki Tours New Zealand is aimed at inspiring young kids to adopt the adventurous Kiwi spirit, and discover more about the world around them. First stop? Tama’s incredible homeland, New Zealand. 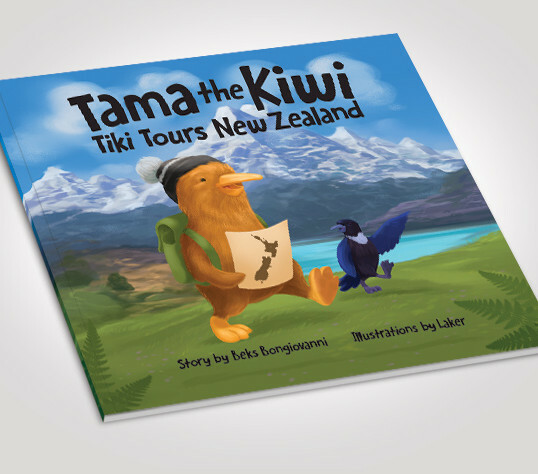 With stunning and colourful illustrations, kids will love exploring New Zealand’s cities, landscapes, coastlines, and natural wonders with Tama the Kiwi. 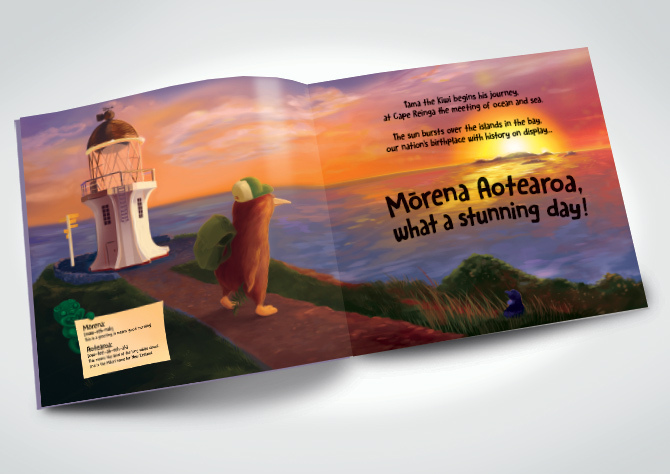 This is the second edition of the increasingly popular book that has now reached all corners of New Zealand and around the world! 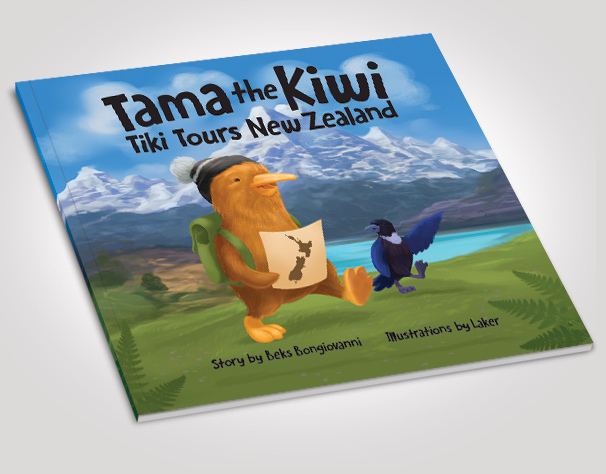 It’s the same great story, but Tama now visits even more places, including the beautiful spots of Coromandel, Napier, Kaikoura and Central Otago. LAST CHANCE TO BUY THE ORIGINAL: If you’re looking for the original, we have only a few left in stock, and it’s on sale – you can find it here. The book is soft cover, 21cm (h) x 23cm (w). Prices are shown in New Zealand dollars. 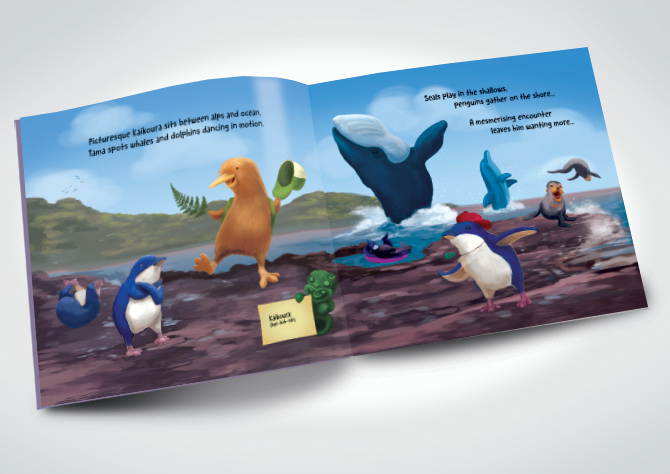 FREE standard post to New Zealand and Australia – limited time only! 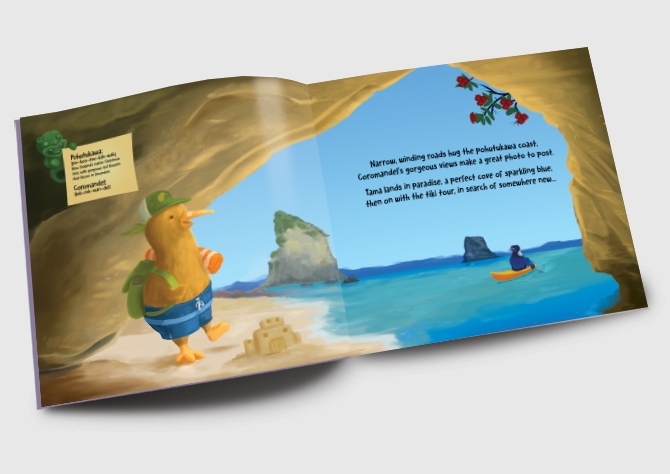 If you’re shipping internationally you can do this through the site for up to 4 books, if you’re after 5 or more just email us first at tamathekiwi@gmail.com so we can arrange the best postage price for you. We promise to be fast with our response!